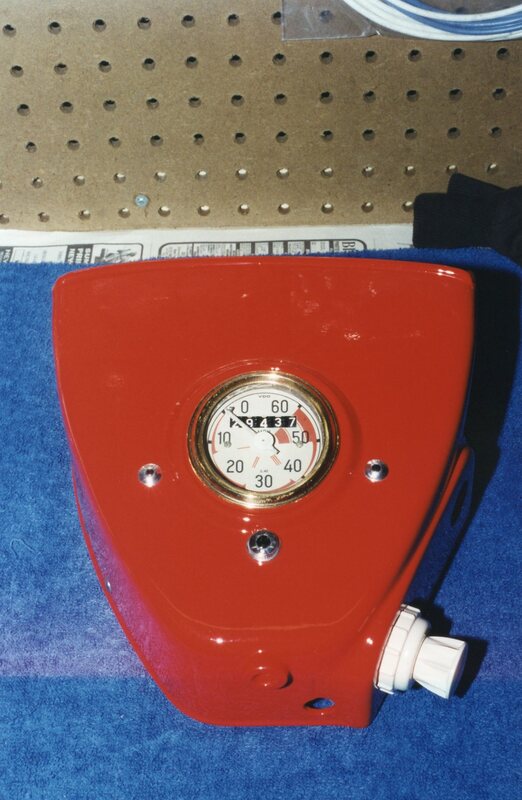 The time span between October 21, 1978 and September 4, 1995 is quite long. Very long. It is 16 years, 10 months, and 14 days. 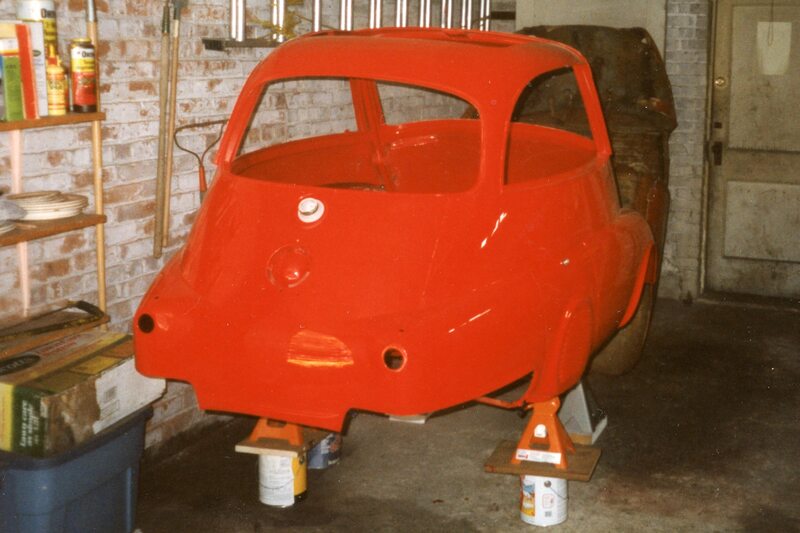 The former date represents the day I purchased my BMW Isetta. 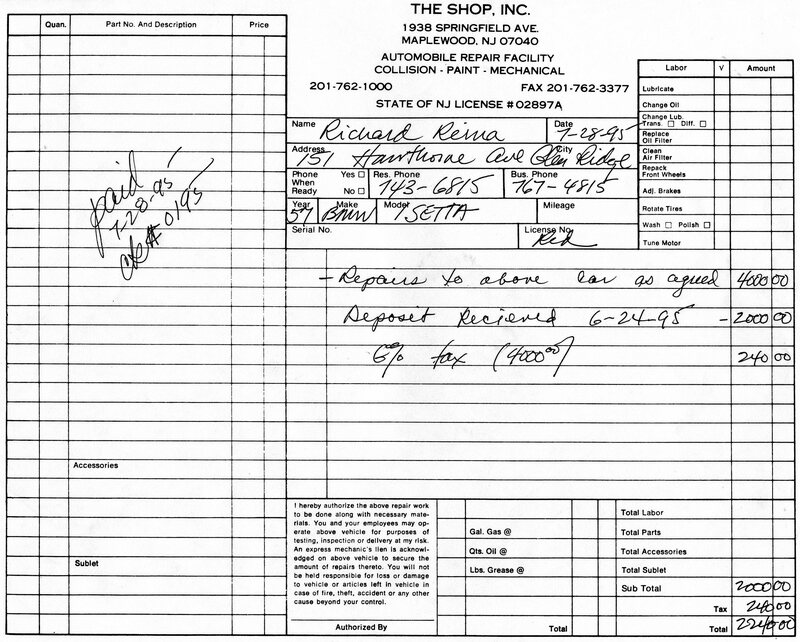 The latter date represents the day I first drove it. 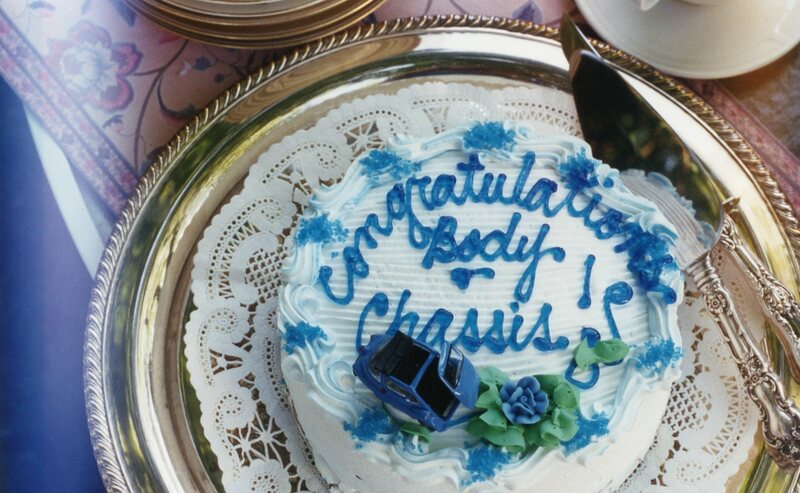 When I bought the car, I did not think that it would take just shy of 17 years to get to this point. But it did. 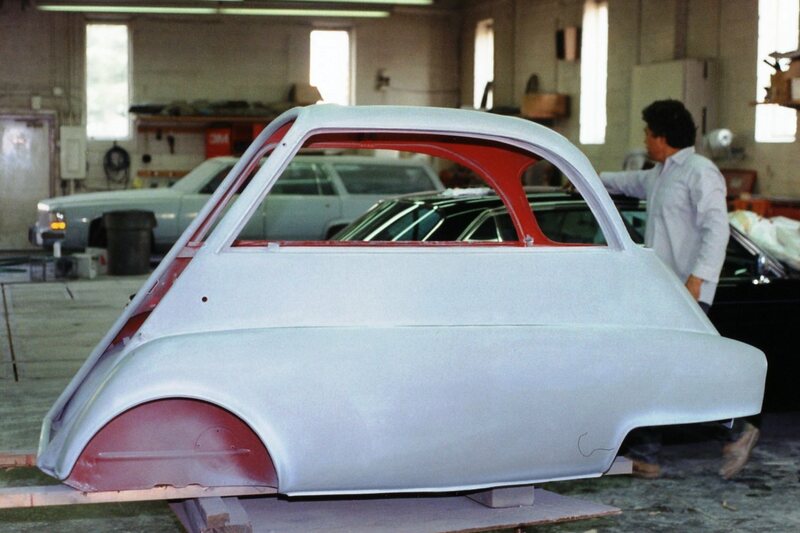 As I promised myself, the Isetta did drive in ’95. 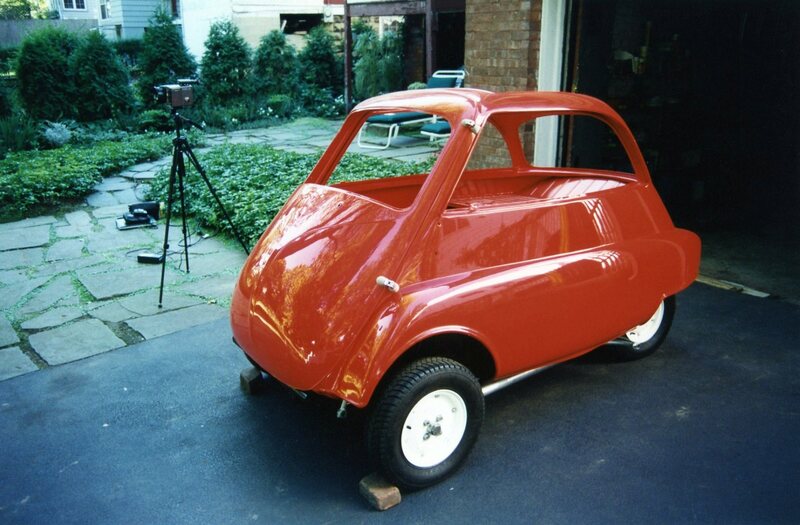 The video of the first drive was recently unearthed after being hidden away in a closet for many years. Along with the videos posted earlier, I had forgotten I had this, and it has been fun to rediscover it. No further words are necessary. Click on the YouTube link below and enjoy the clip taken on what was a beautiful late summer day. 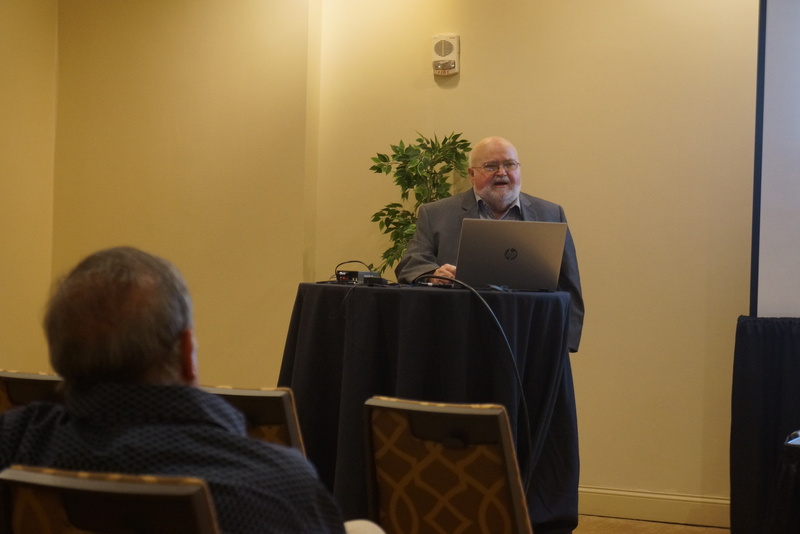 The Antique Automobile Club of America (AACA) held it 83rd annual meeting at the “Philadelphia 201 Hotel” in Center City Philly PA on February 8 & 9, 2019. 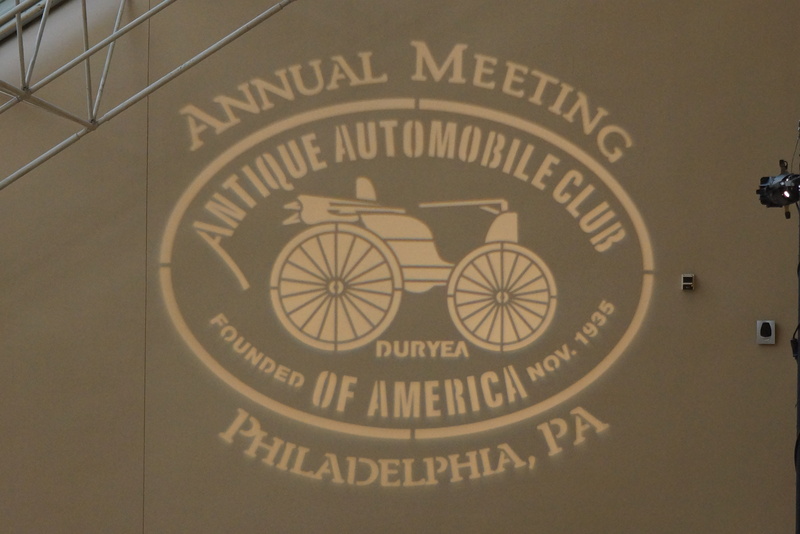 The AACA has a long history of annual meetings in the City of Brotherly Love – you can read more about that history here. 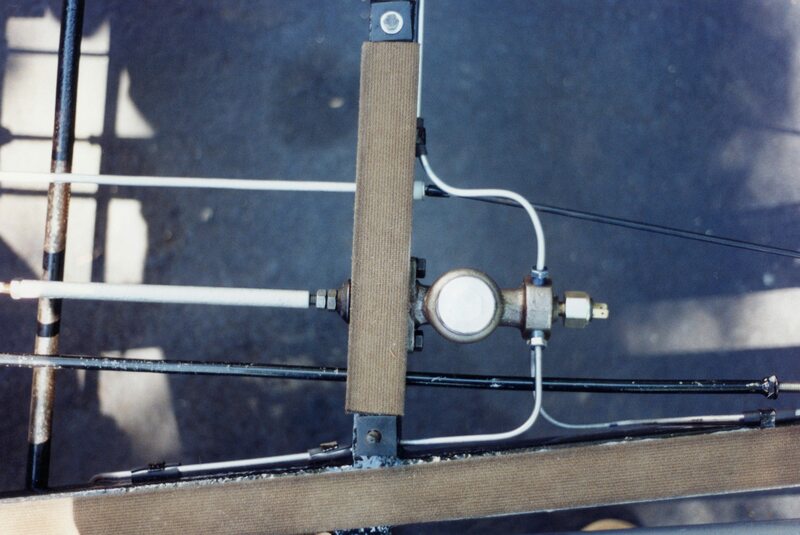 The show was also covered on the blog last year. This year, for the first time, I spent Friday night in the hotel so that I could attend both days. 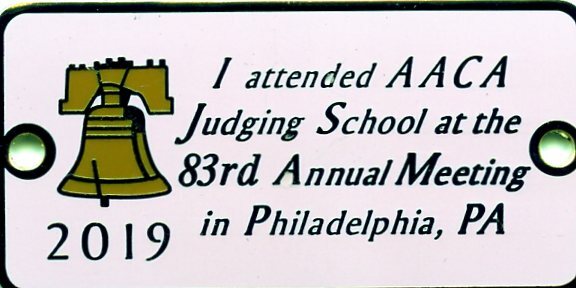 My primary interest was the judging school, and more about that in a bit. This is not a car show per se. 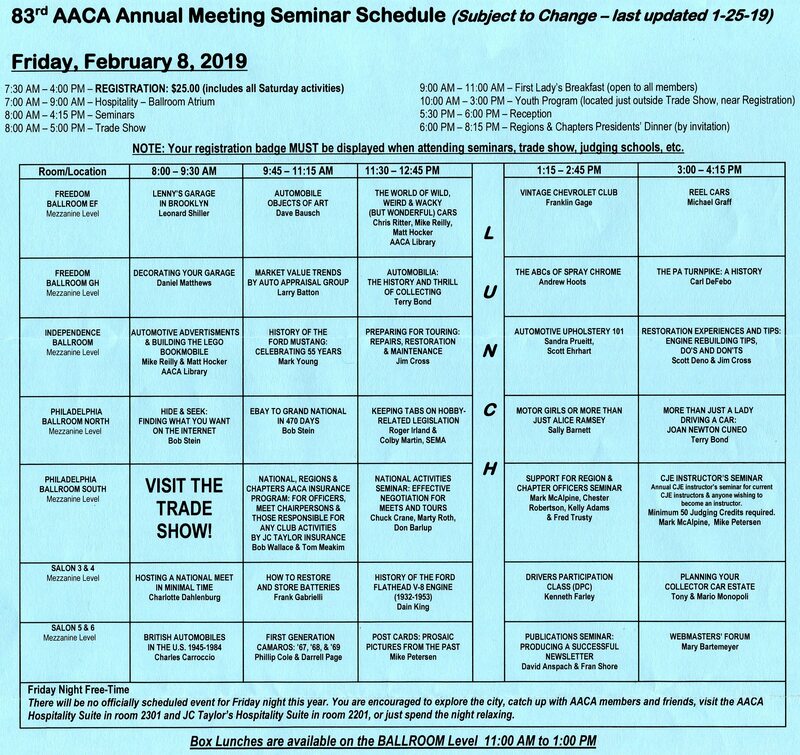 Rather, the principal activities for registrants (you must be an AACA member to attend) are seminars on a variety of topics; judging school; a trade show; a general membership meeting; and the Saturday night awards banquet. The host hotel is nicely set up for this, with the trade show in a large room to accommodate vendors’ booths and displays, and conference rooms of various sizes for the seminars. Everything is within a few minutes’ walk, with no need to venture outdoors into the 32-degree winter weather. 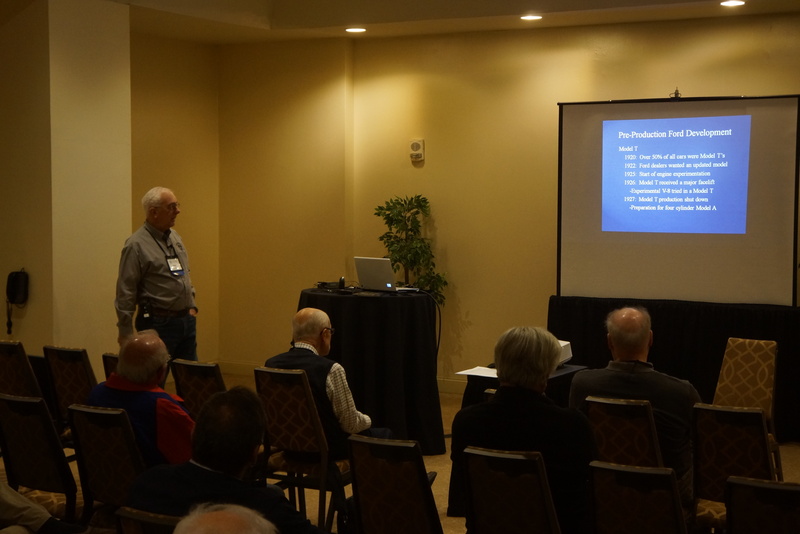 The seminars I attended included “Market Value Trends”, “The History of the Ford Mustang”, “Keeping Tabs on Hobby-Related Legislation”, “The History of the Ford Flathead V8 Engine”, “Planning Your Collector Car Estate”, and “Modern Motor Oils”. 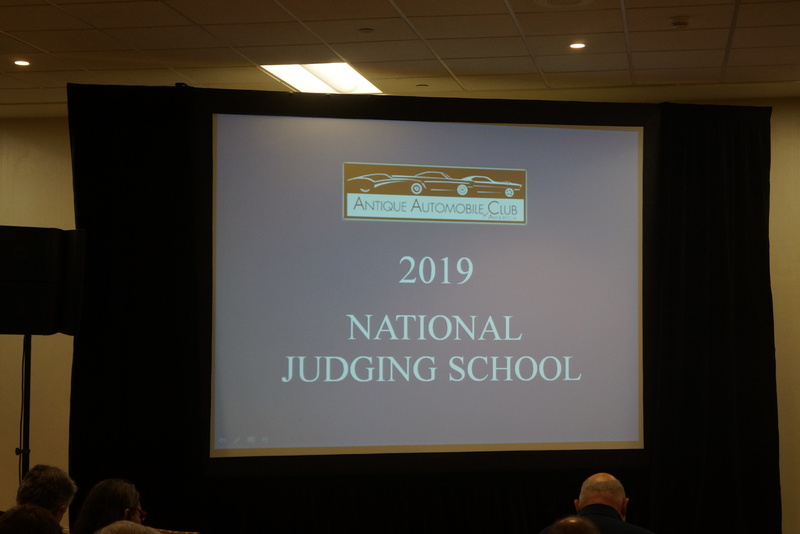 Almost every AACA event offers a judging school. 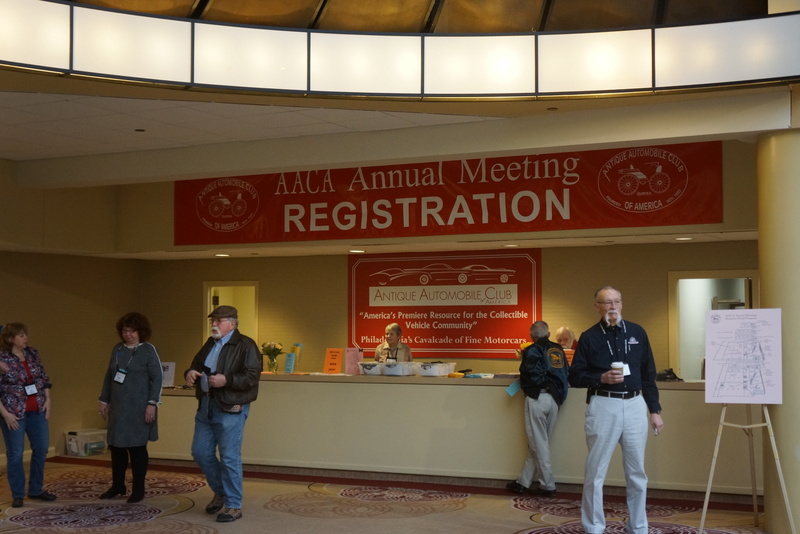 By AACA rules, all judges must attend at least one judging school per calendar year, so there’s good reason for the frequent offerings. My plan is to judge at the NJ Region’s upcoming National in Parsippany in June, so I need to increase my judging credits. I attended the school on Saturday morning, and it’s refreshing to (re)learn that as strict as the judging guidelines are, the Club also recognizes that this is a hobby, and we all are doing this for fun. 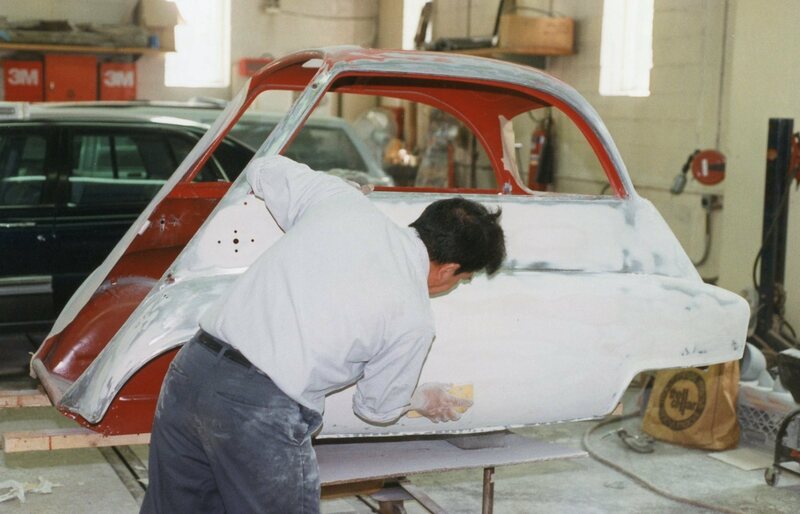 The trade show is primarily populated by businesses wishing to promote their wares (restoration shops, books sellers, and appraisal services). Several schools and colleges which now cater to the hobby also had a presence. 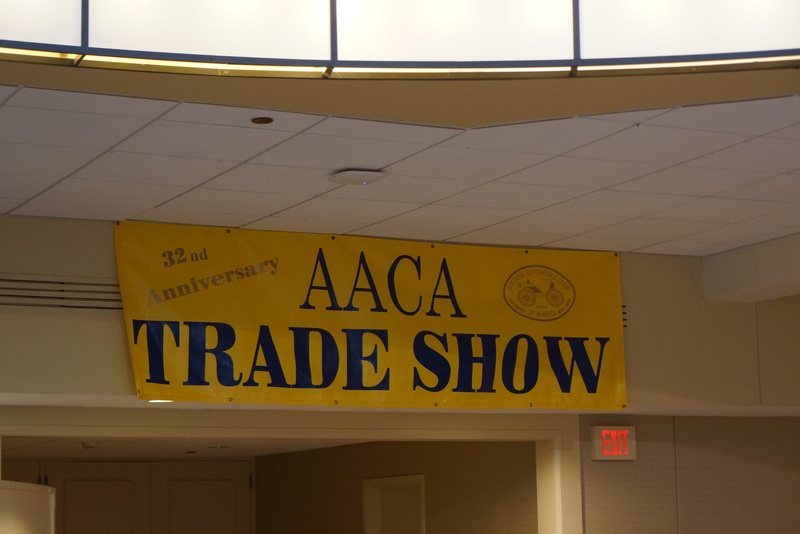 AACA takes up significant real estate just trying to sell clothing and tchotchkes. The NJ Region set up a booth to promote the June National, and I spent several hours each day in the booth to talk up our event with attendees. 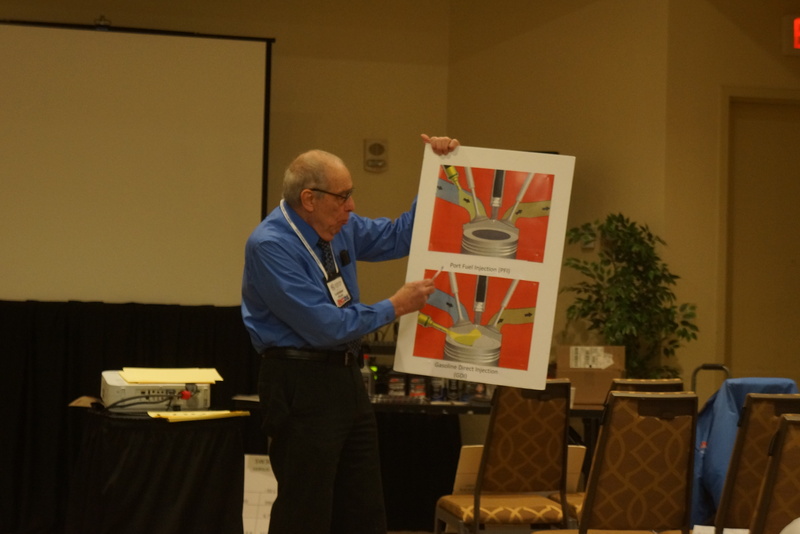 I was pleasantly surprised to meet AACA members from as far as Indiana and Florida who expressed interest in attending. 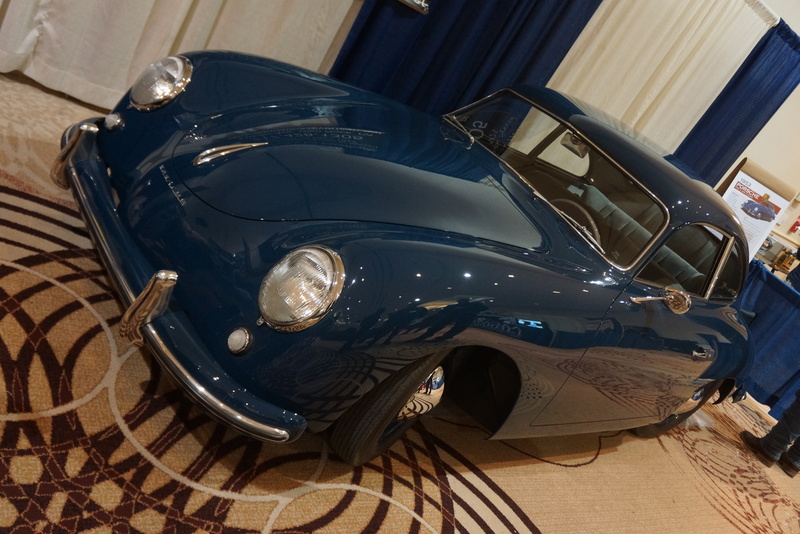 The Annual Meeting is quite different from a meet or a tour: you are not there to ogle beautifully restored cars. 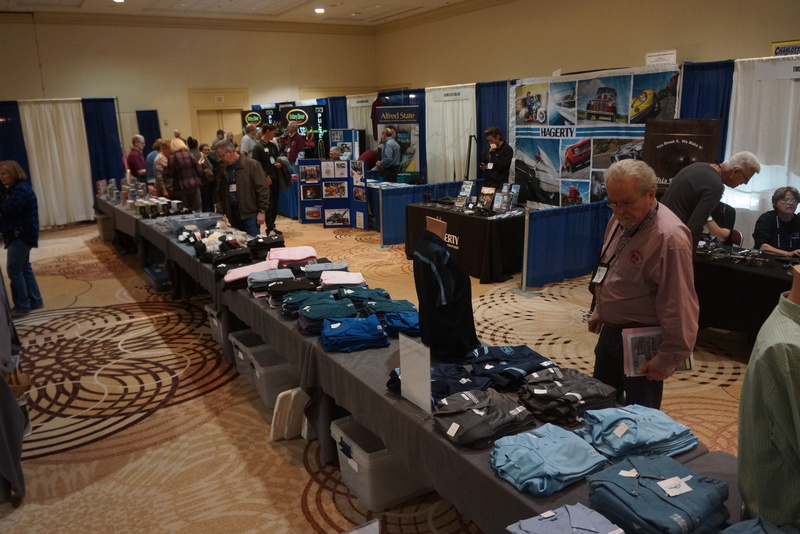 However, it is very much like any other AACA event in that it’s about mingling with those who share a passion for the hobby. There was plenty of time to catch up with old friends and become acquainted with new ones. For that reason alone, it’s worth making the trek each February to Philly. 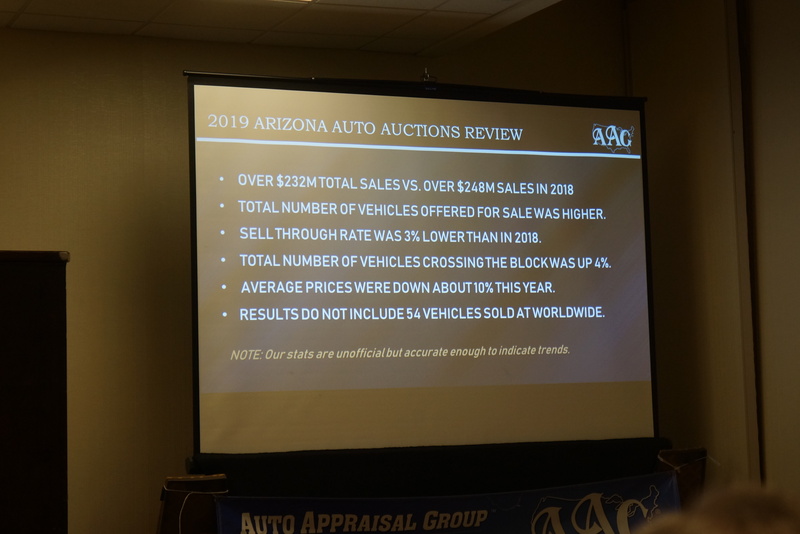 Larry Batton of the Auto Appraisal Group presented results from the recently concluded Arizona auctions. 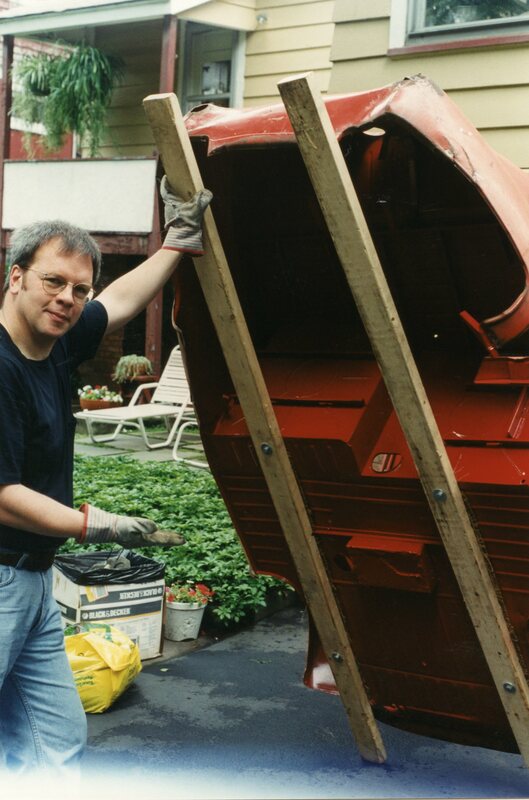 Larry’s style is unpretentious, upfront, opinionated, and straightforward. 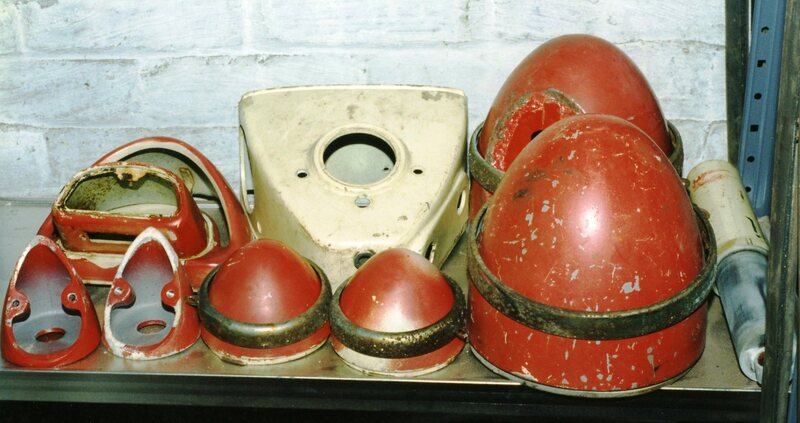 Whether you’re an auction veteran or someone who wonders what the fuss is all about, it’s enlightening to hear some of his behind-the-scenes stories. 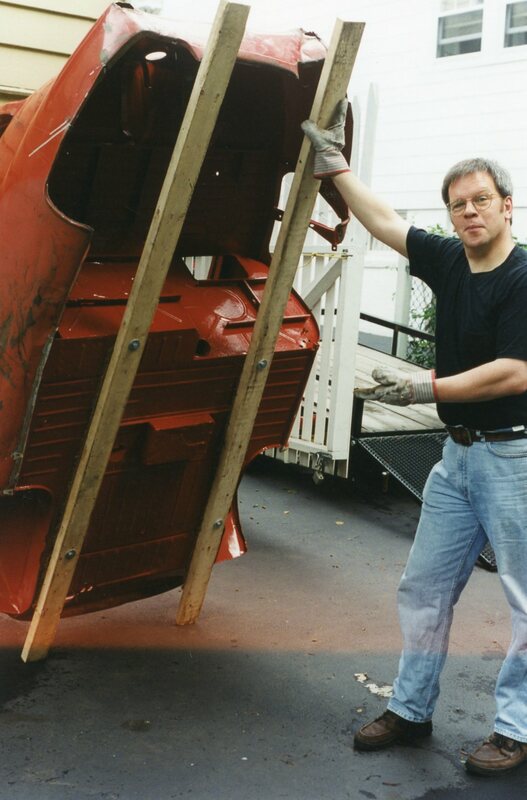 Mark Young is a 4th generation Ford enthusiast, and that’s putting it mildly. 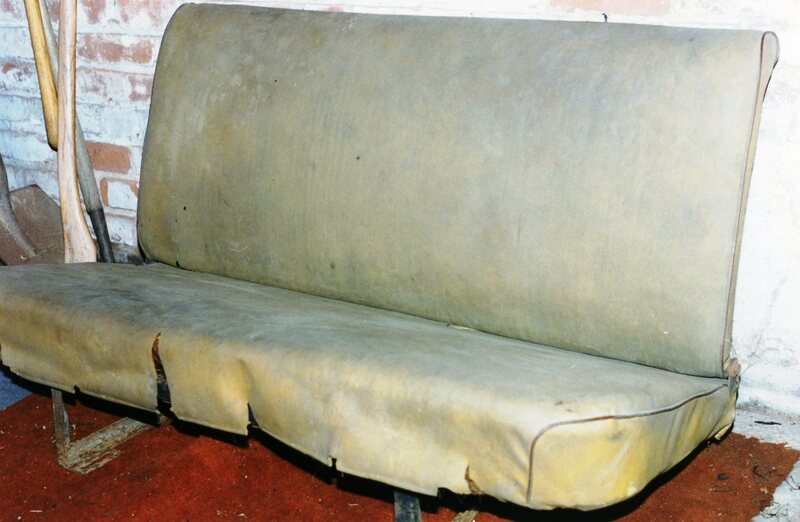 His great-grandfather owned one of the earliest Ford dealerships, a business he started in 1910. I lost count of how many Mustangs are in Mark’s immediate family, but it’s 7 or 8 (plus a few T-Birds). 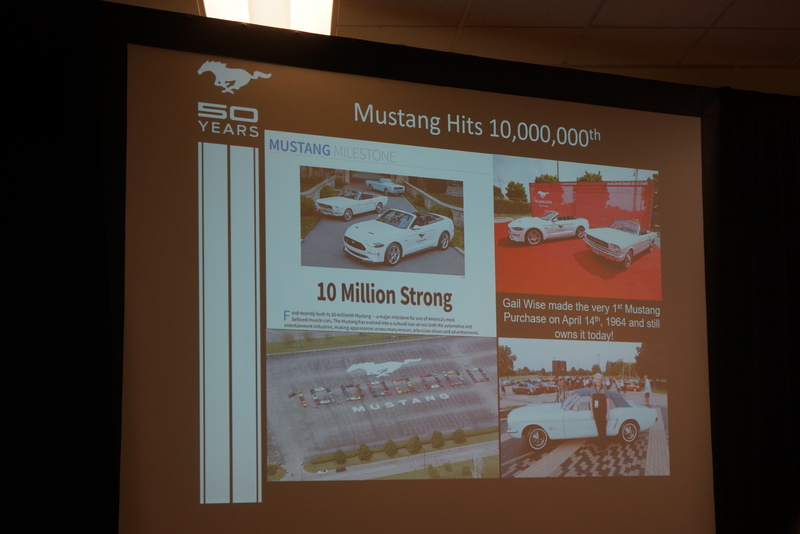 Mark gave a credible and succinct summary of the original pony car’s success and what it has meant for the Blue Oval fans. 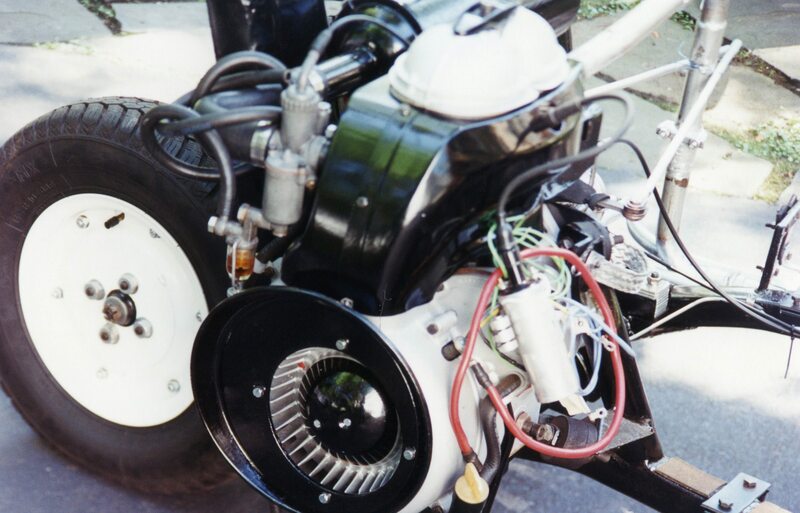 There were many V8 engines in existence before Ford introduced theirs in 1932. 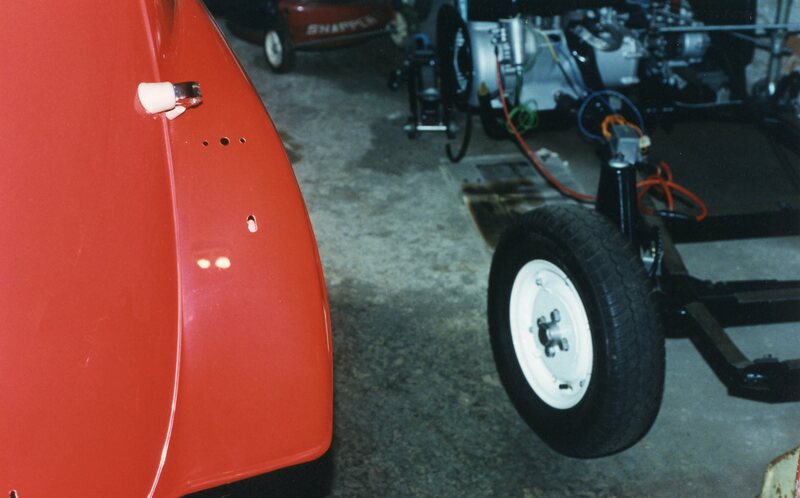 But none were as low-priced nor as mass-produced as the “flattie” was; it stayed in production just over 20 years. 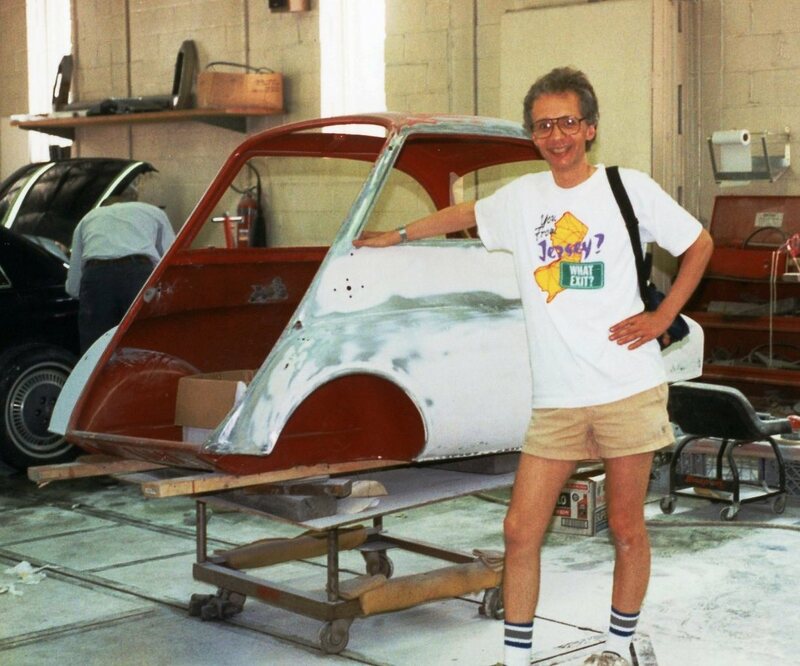 Dain King, an entertaining man in his own right, provided the interesting back story (for example, Ford engineers scoured junk yards to buy up V8s from other companies, so they could disassemble and see what they could learn from them). 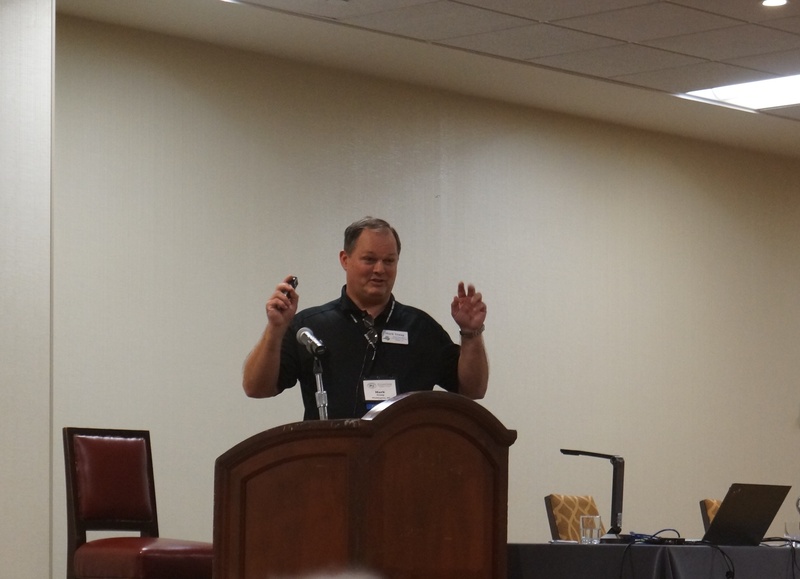 Colby Martin from SEMA (Specialty Equipment Manufacturers Association) made the presentation, which was not a bashing of government regulations. 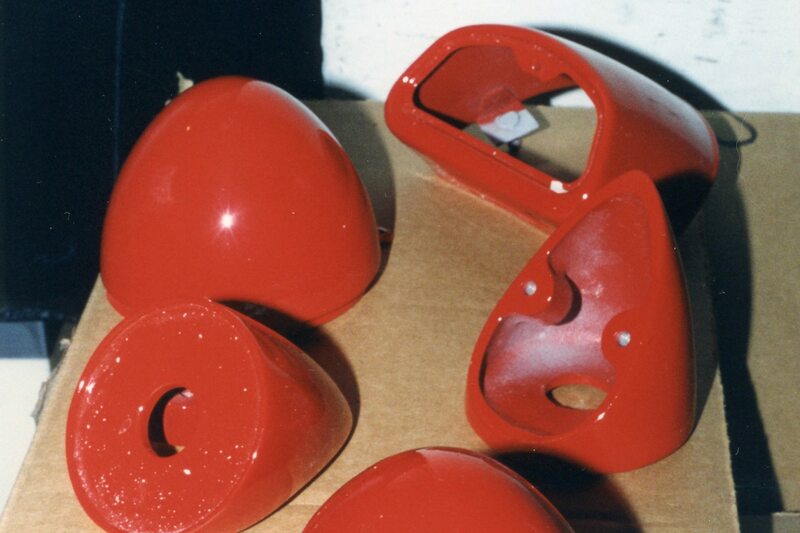 Rather, it was an overview regarding how a regulated industry which seeks fairness and consistency can have a voice. 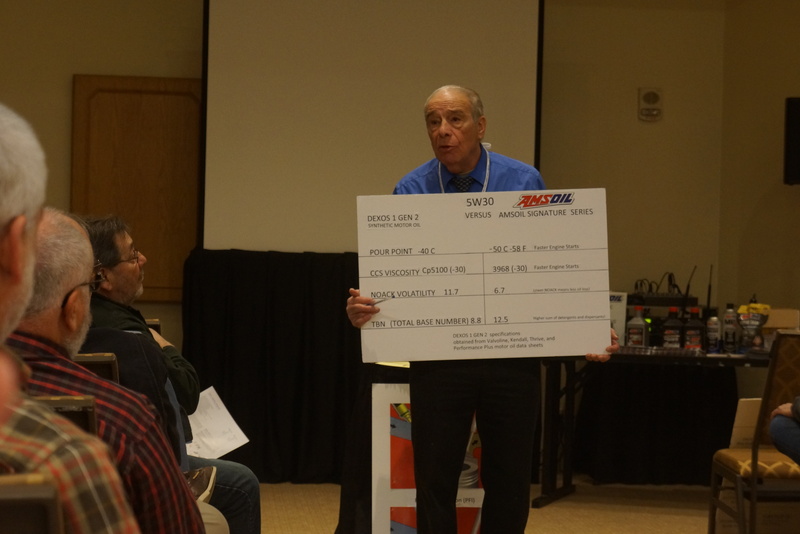 One point of great interest that he showed was a lengthy list of Congresspeople from both parties who have identified themselves as “friends and advocates for the automotive hobby”. It’s good to know that such people exist. 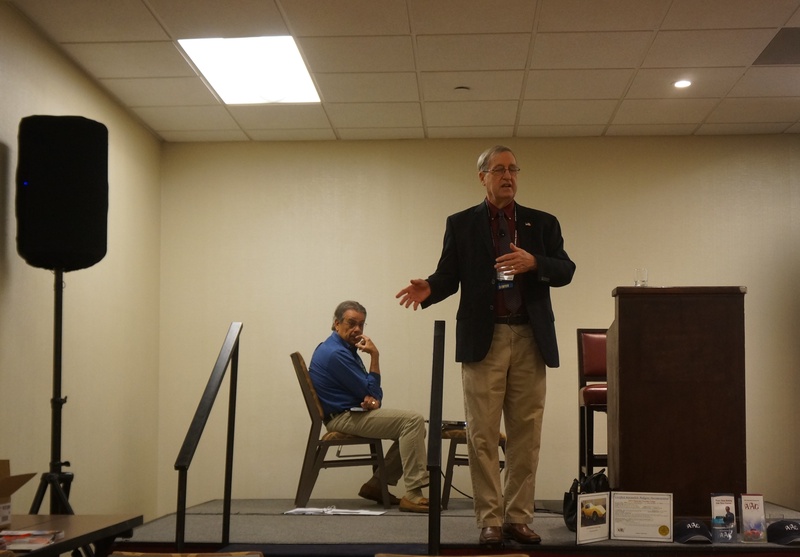 Father-and-son duo Tony and Mario Monopoli provided a series of common-sense suggestions to help ensure that upon your demise, your heirs either have your cash, or know how to turn your “stuff” into cash. Tony confessed that for the past few years, he’s been getting rid of his stuff on eBay so that he has the cash while he’s still around. 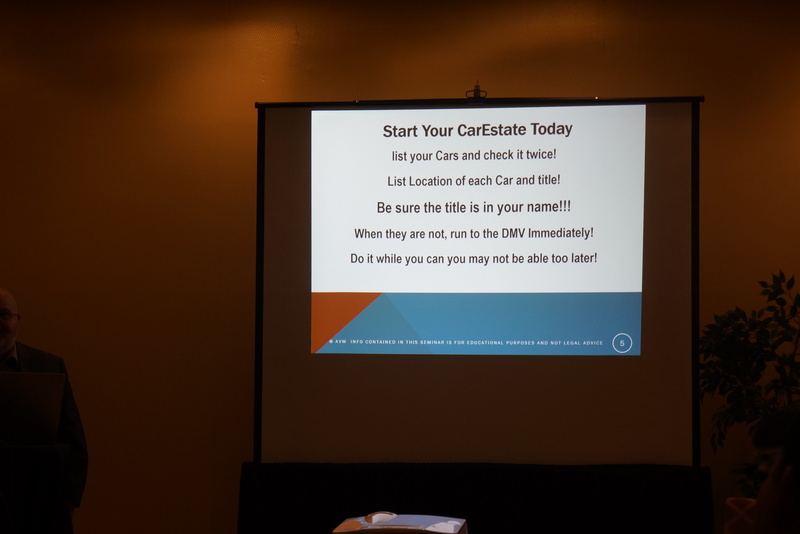 If you’re keeping what you have for now, Tony suggested making lists (what you own, what it’s worth, and where it’s located) and making sure your descendants have copies of the lists. 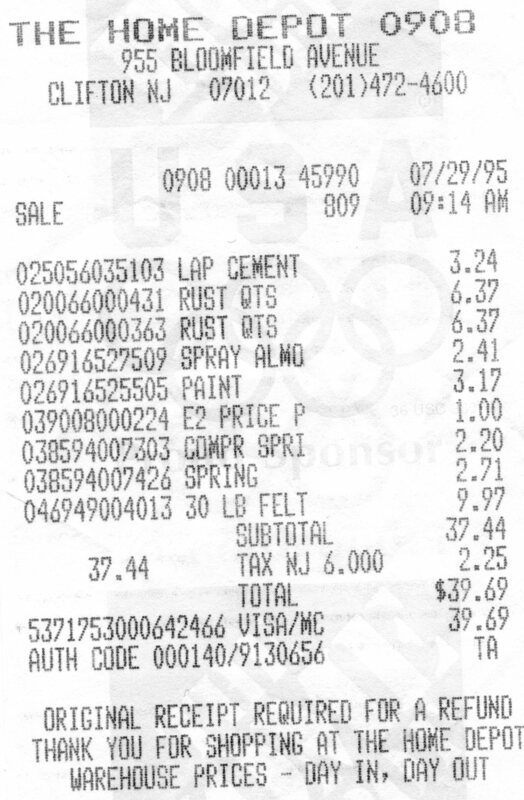 Part chemistry class, part history class, and part sales pitch, Larry Giancola, who unabashedly works for AmsOil, provided more information than you need about base oils, index modifiers, and viscosity, as well as phosphorus, calcium, and zinc (for a moment, I thought I was in nutrition class). While touting the benefits of the oil he sells, Larry also kept it real. 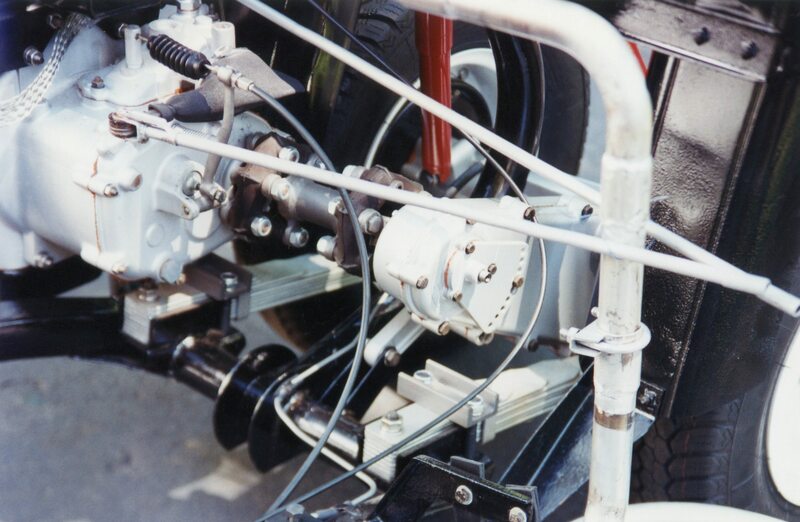 One revelation was the discussion around Direct Injection (DI) engines and the havoc they are causing. He pointed out that the vehicle manufacturers have specifically requested that the engine oil manufacturers produce an engine oil (SN+) to address this, and they have. 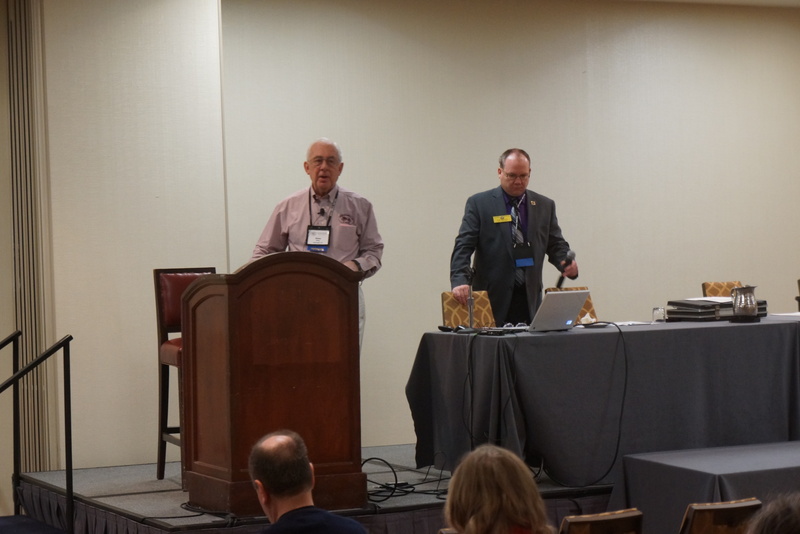 Dain King and Stan Kulikowski did a wonderful job explaining the intricacies of AACA’s judging rules and points system. All class cars start at 400 points, with points deducted for faults. 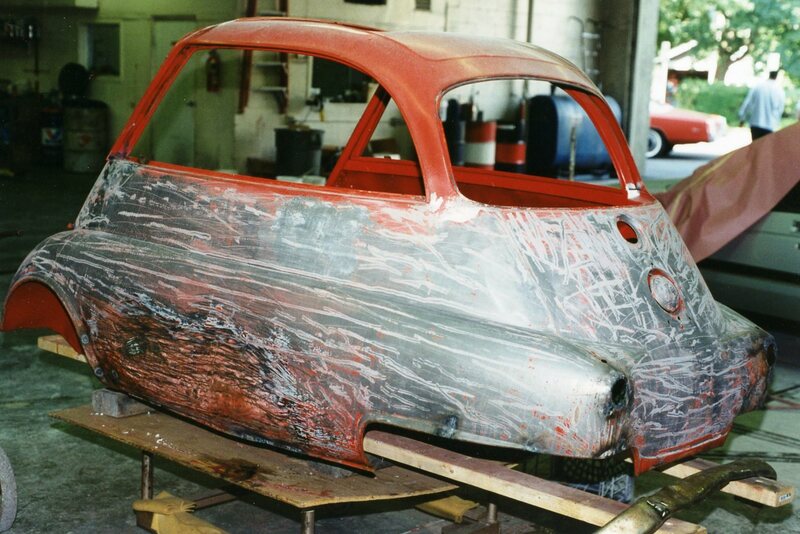 Cars are judged first on authenticity, and only then on condition. 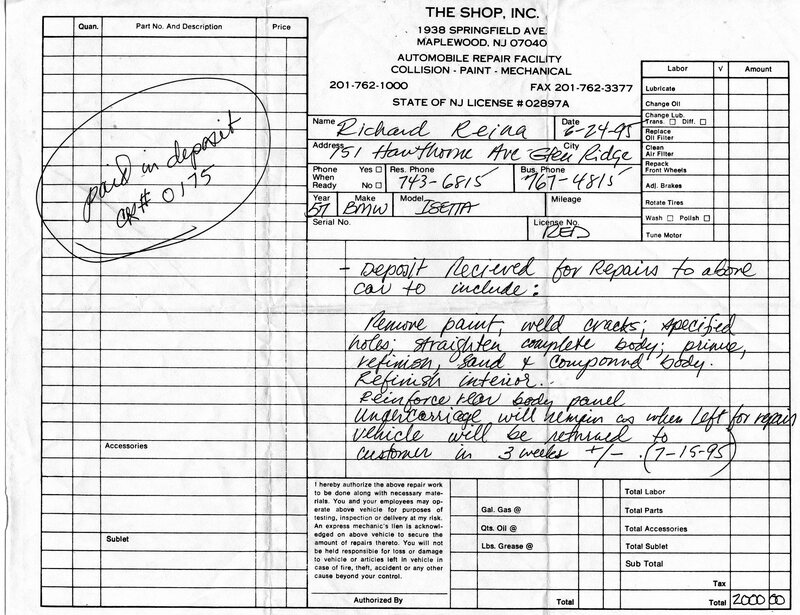 To provide a simple example: if a 1940 Ford is on the show field with radial tires (non-authentic), that car would lose maximum point value for 4 inauthentic tires. 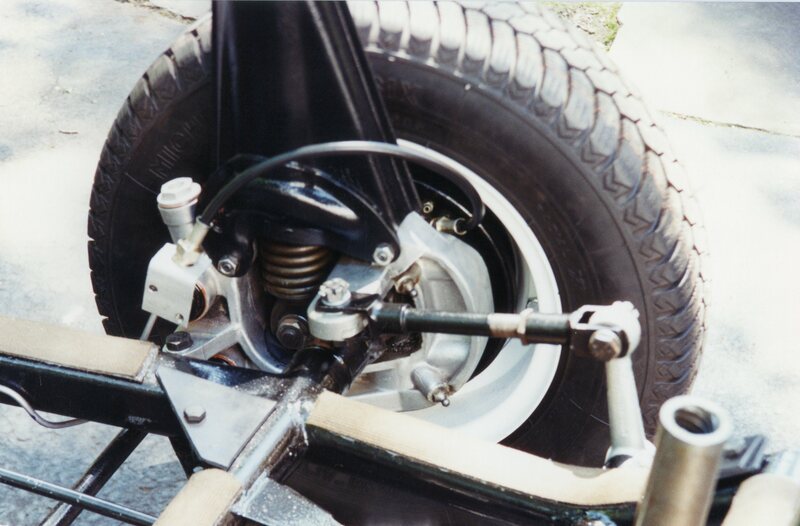 If a different 1940 Ford had bias-ply tires correct for that year, but only one of the 4 was half worn while the other 3 appeared new, it would lose nothing for authenticity, but lose condition points for only that one worn tire. As stated earlier, they stressed that this is a hobby, and the judge’s job is not to “destroy” someone’s work with a few stokes of a pen. All in all, it was a very enlightening session. 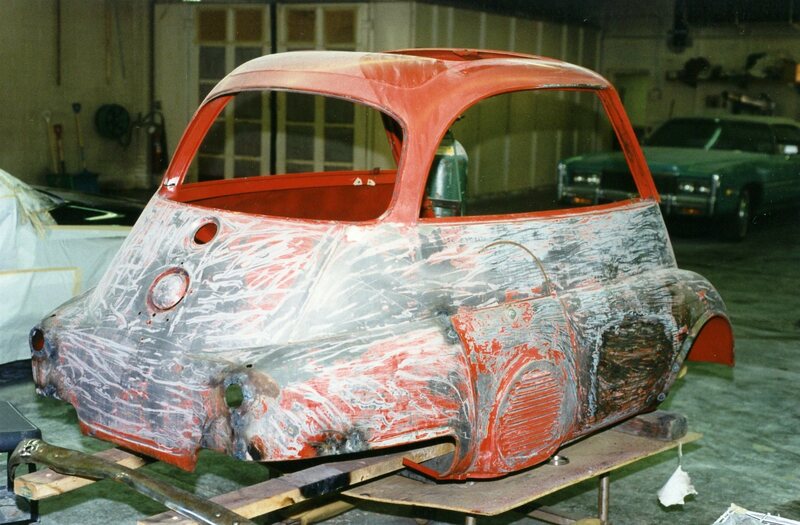 During the restoration of the Isetta, a frequent question presented to me was “what motivates you to keep going?” Of course, I wanted to see the project reach a successful conclusion, but setbacks, and there were a few, can be demotivating. 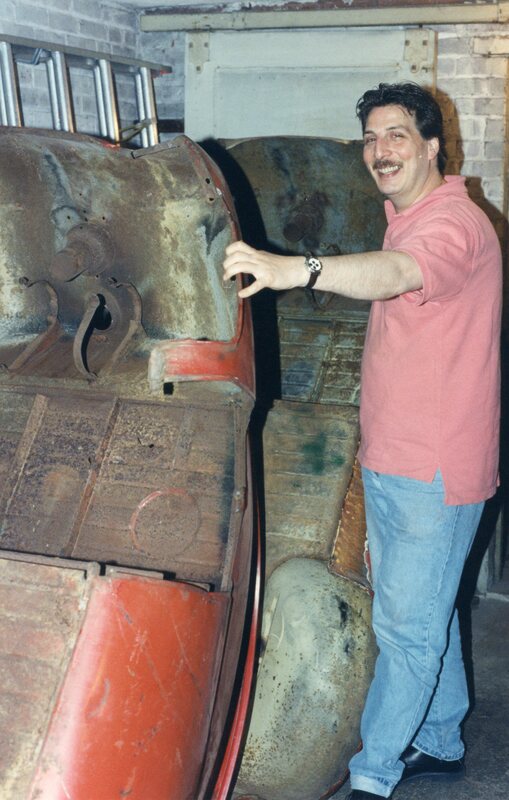 There were times I questioned my own sanity, as in, “why am I spending so much time, money and effort to restore a 13-horsepower bubble car from the 1950s that most people have never heard of?” With everyday life (job, family, house) swirling around me, I was occasionally tempted to quit the whole deal. One of my mantras during this 5+ year stretch was “celebrate your successes”. Reaching certain milestones not only feels great, but the achievement can be shared with others, which then inspires you to keep moving forward. 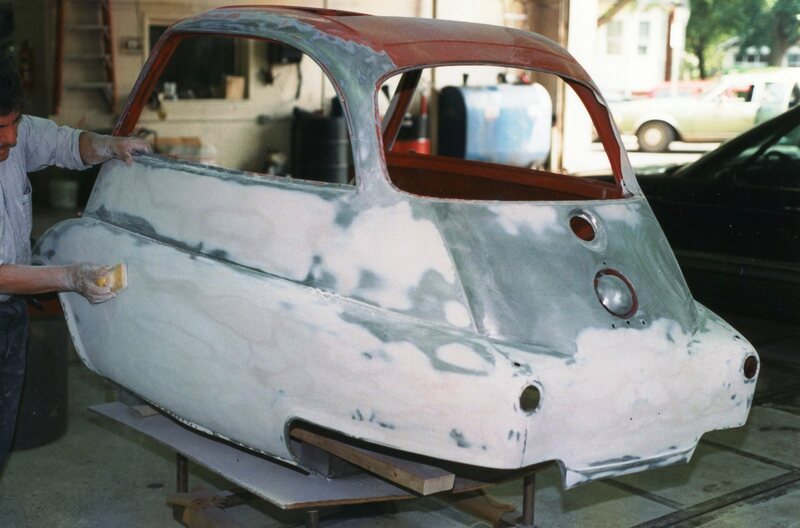 In August of 1995, I was ready for such a celebration: the Isetta body shell, freshly painted and just back from “The Shop”, was about to be reunited with the mechanically-restored chassis. 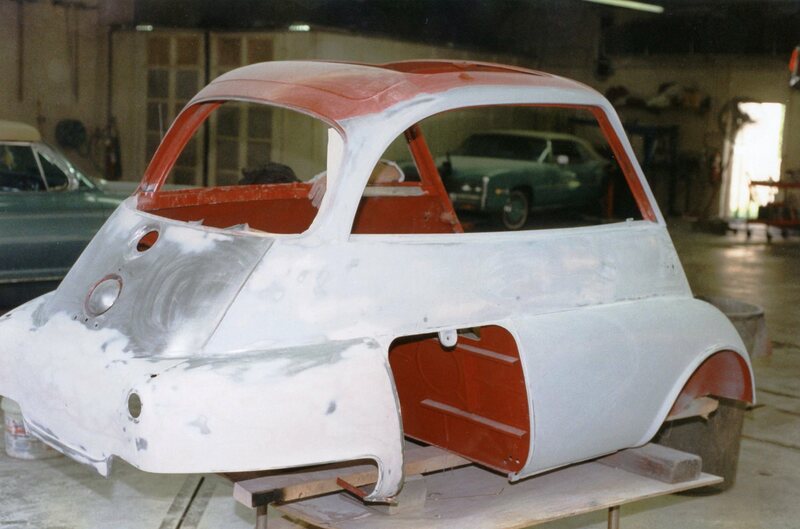 In a traditional automobile assembly plant, the moment of “marrying” the up-until-then separate body and chassis is called the marriage point. So, in honor of that event’s facsimile, we decided to host a wedding. 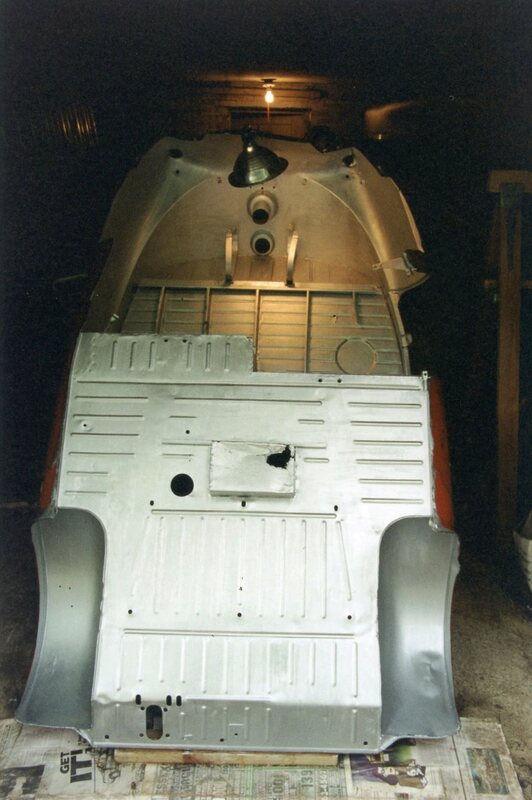 Before, um, consummating this union, since the shiny and clean chassis was about to be covered up again, a final set of photographs was taken to document its return to as-new glory. 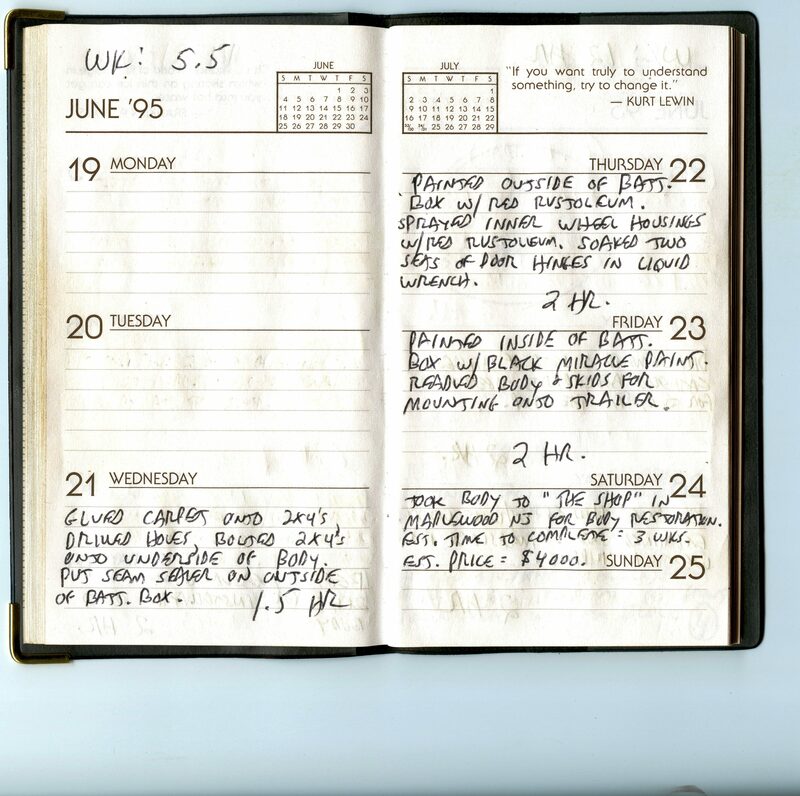 The wedding was scheduled for Sunday, August 20, 1995, and since a wedding must have guests, a small ensemble was invited. (Memory doesn’t recall whether any of the invitees were tipped off that there was work to be done before food and beverages would be served.) 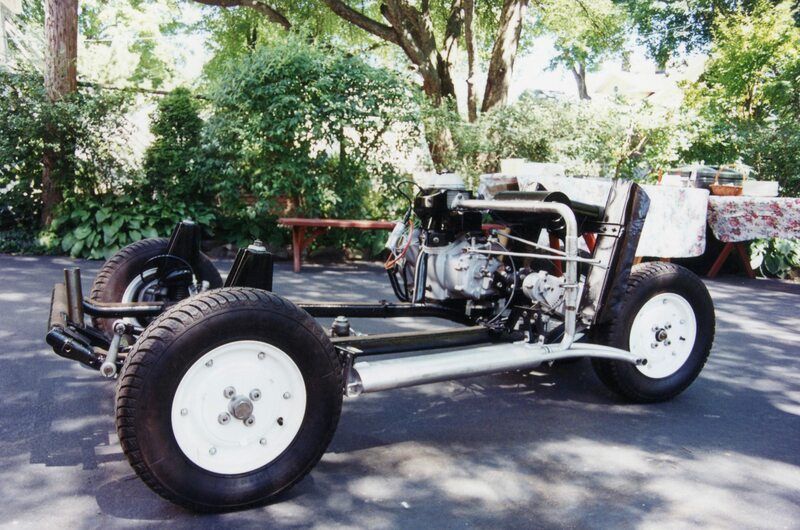 The chassis was staged in the driveway just beyond the garage doors, with the body patiently hanging out in the garage on four jack stands. Five intrepid groomspeople (Chris Beyer, John Maggio, Dennis & Ann Marie Nash, and Don Dahringer) vaulted the body back into the daylight. 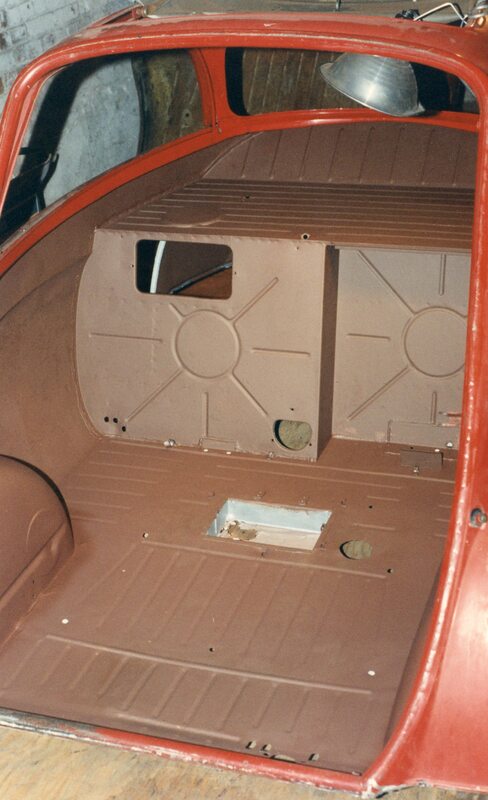 Spotters were assigned to eyeball the body’s descent so that nothing was injured. It took a few moments to clear all the obstacles, but the (re)union was a success. 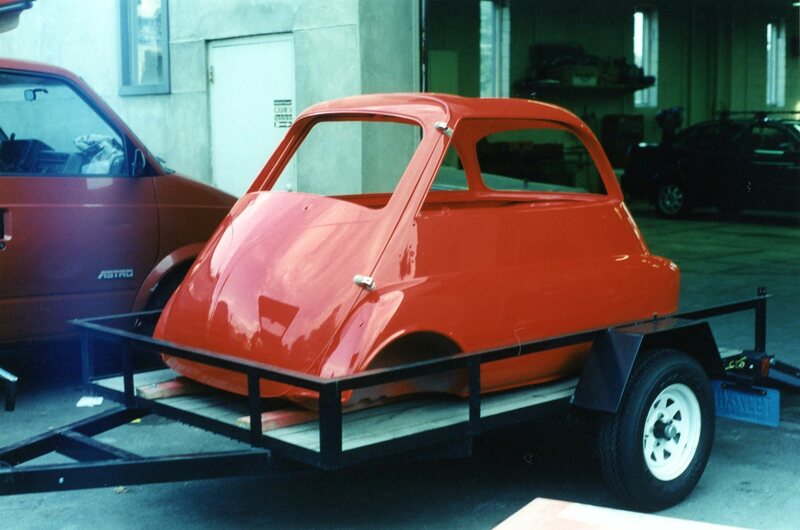 The end of the push to make “The Isetta Drive in ‘95” was close, really, truly close. 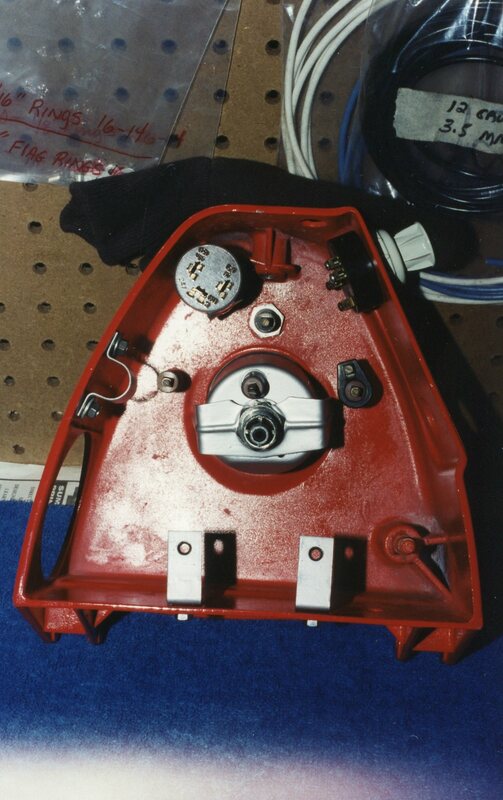 The steering, pedals, wiring harness, ignition, and seat all needed to be installed and connected. 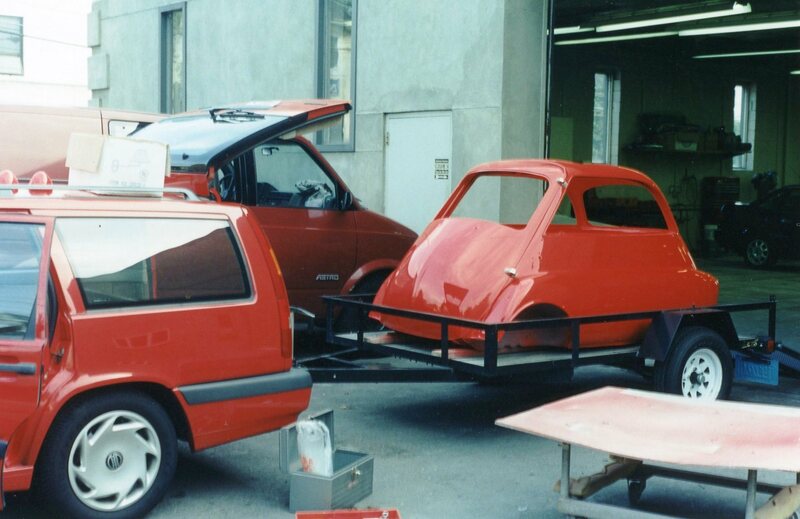 The motivation was the knowledge that I was perhaps a few short weeks away from driving my Isetta for the first time since buying it as a disassembled heap in 1978. 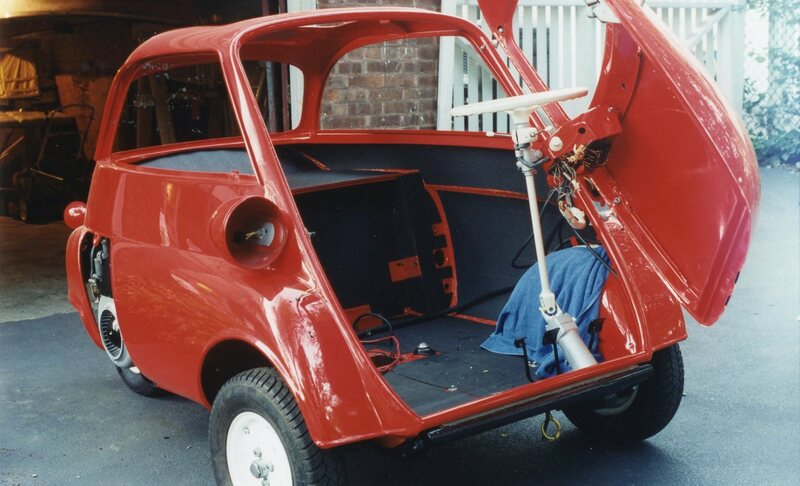 It almost looks ready to drive. Almost. 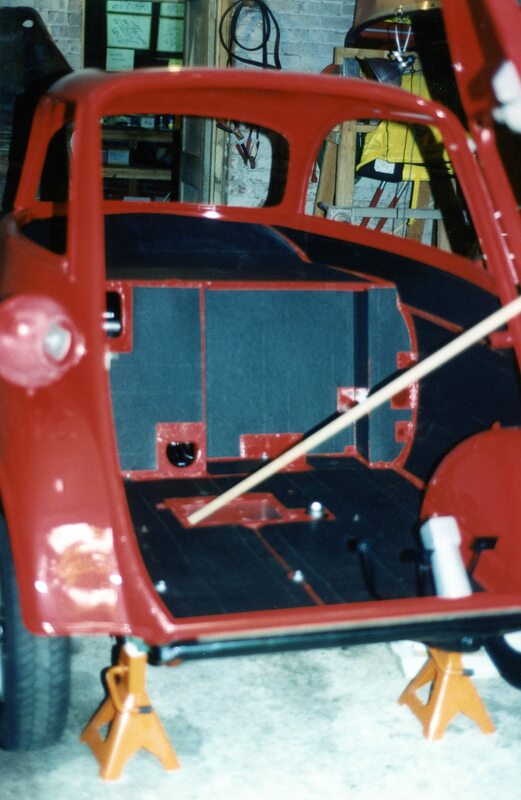 Jody Fitzpatrick, proprietor of “The Shop” in Maplewood NJ, had my Isetta in his possession for one day shy of five weeks. His work was completed, done, finished. I breathed a huge sigh of relief if only for his ability to accurately predict his work timeline, originally estimated at “3 to 4 weeks”. This was close enough. 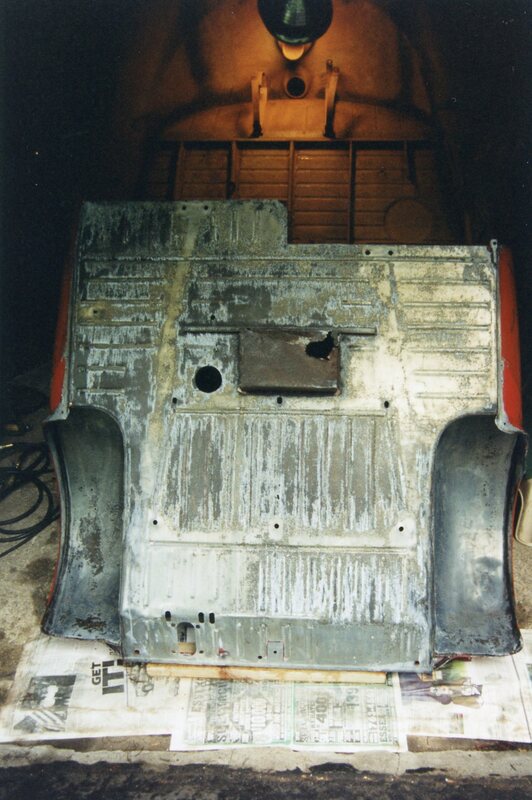 There wouldn’t be any restoration shop horror stories in my future. 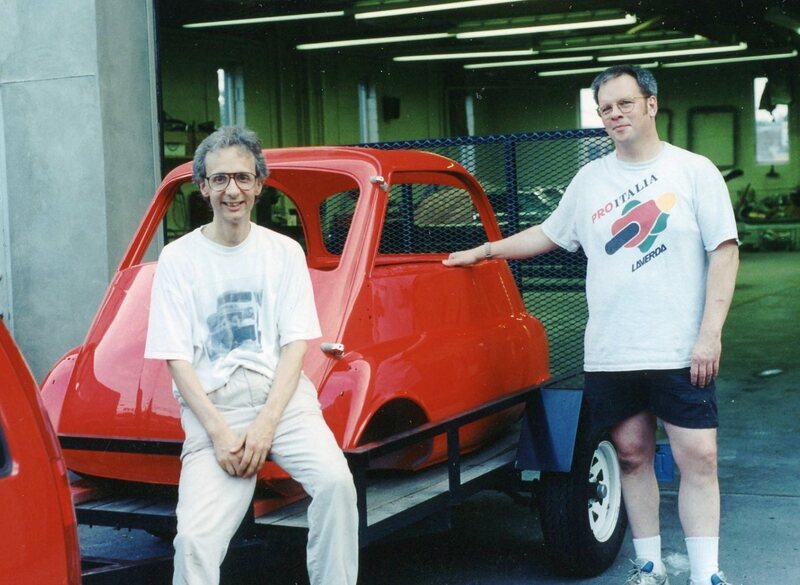 Chris Beyer, work colleague, neighbor, and friend, had accompanied me when I dropped off the Isetta body. When I told him that it was ready for pick-up, he was ready and willing to join me again. 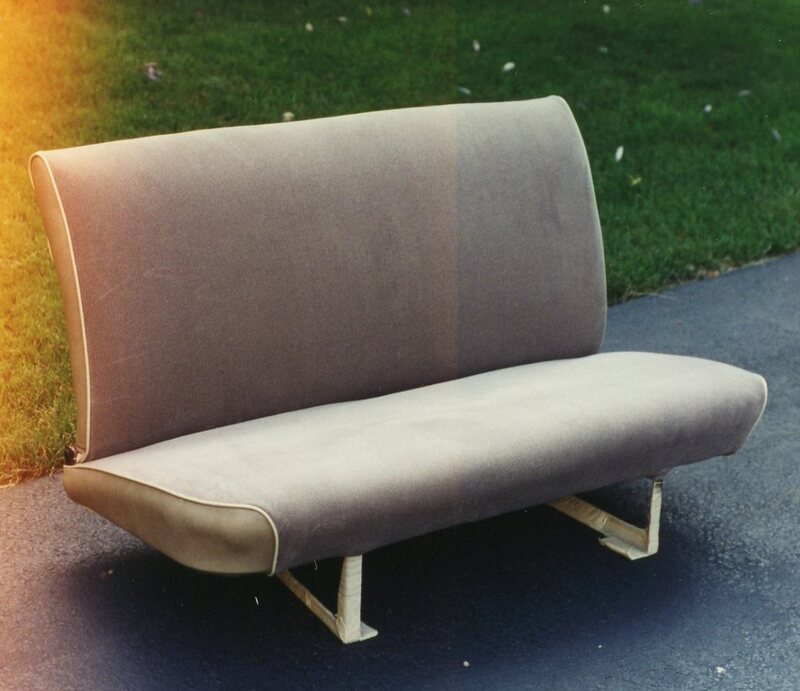 The date was Friday July 28, 1995. Nothing in my notes or my memory explains how Chris and I both happened to be off from work that day; but we were. It was a sweltering humid day, hotter than the previous days had been during what was already an oppressive summer. 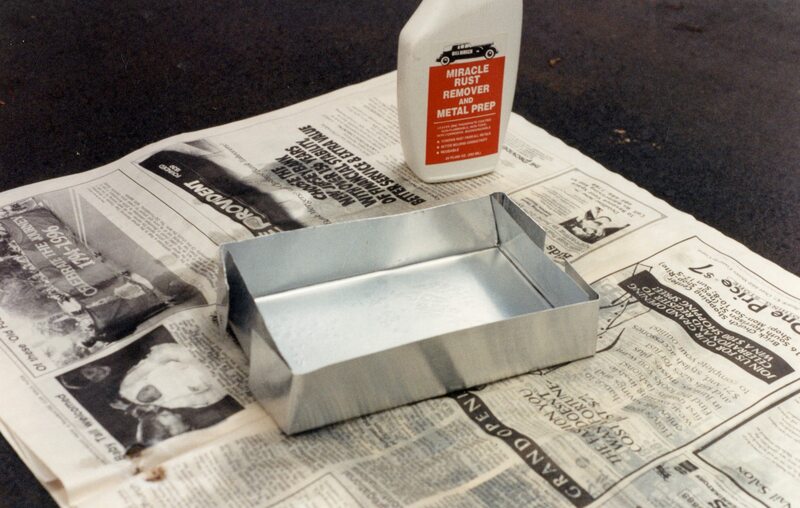 Cranking the A/C in my Volvo 850 wagon did little help; nothing was going to cool me enough to dissipate my nervous excitement over seeing the painted shell. At our arrival, Jody strolled out to greet us, looking and acting nonchalant. “How come HE’S so cool?” I asked no one. Perhaps because he does this every day, and, it’s not his car, and, he just wants to get paid, replied the voice in my head. 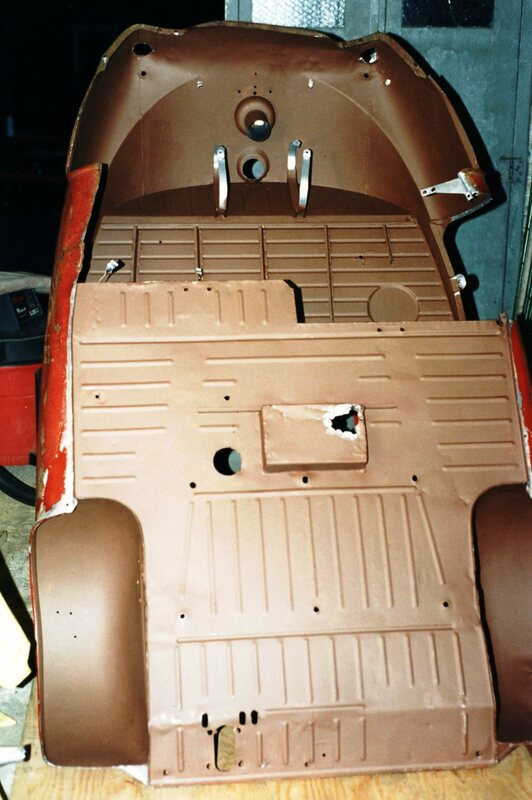 The body shell, of course, looked perfect, almost too much so. I was afraid to touch it, but with Jody and Chris’s help, we got the same 2x4s bolted back to its underside, and then to the trailer floor. Leaving the 2x4s in place for now, we carried the body into the garage, and back onto my makeshift dolly. 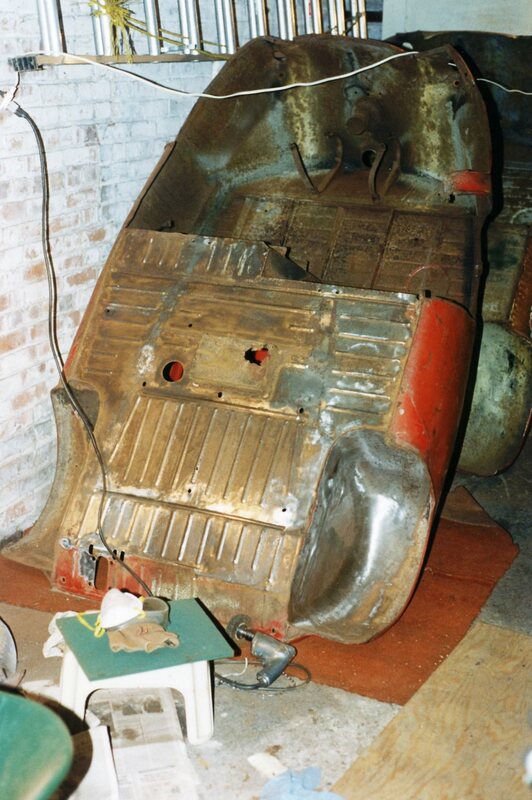 I posed it next to the completed chassis, fully aware that in a few days, five years of mechanical work would be covered forever (or at least until the car is re-restored in 2095). 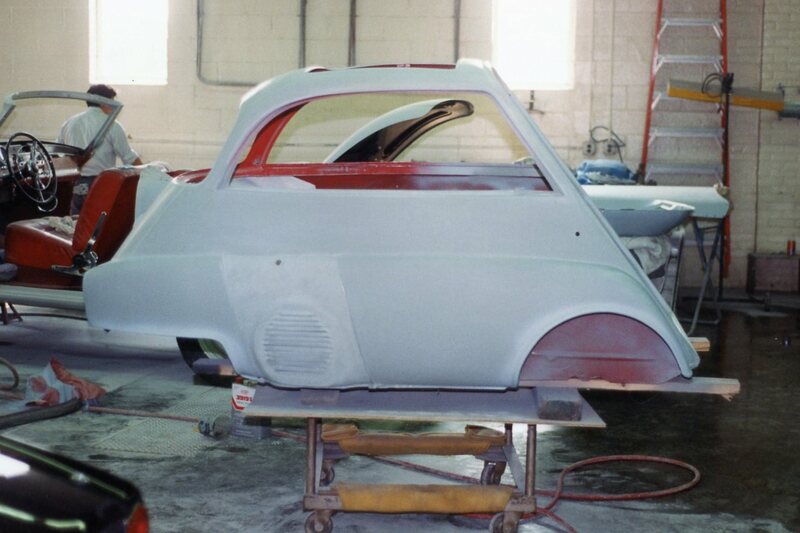 What work was remaining before reuniting the body and chassis? 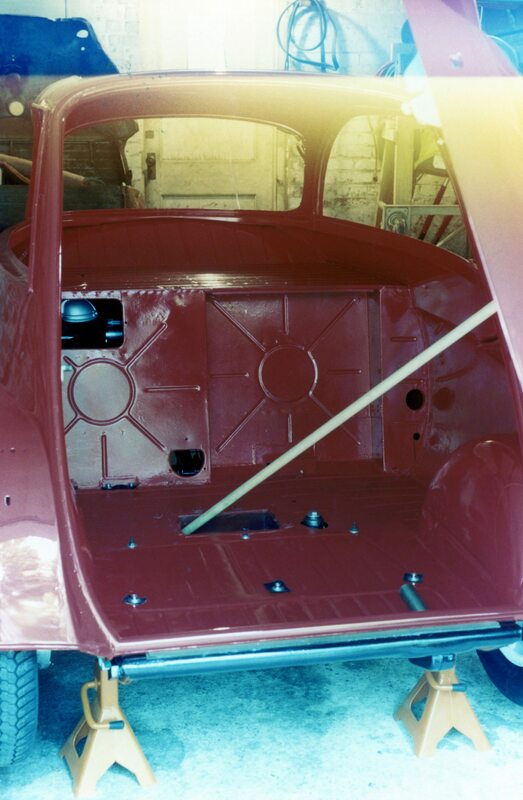 The body’s hand-painted underside now had primer overspray on it, so that got yet another coat of gloss red. 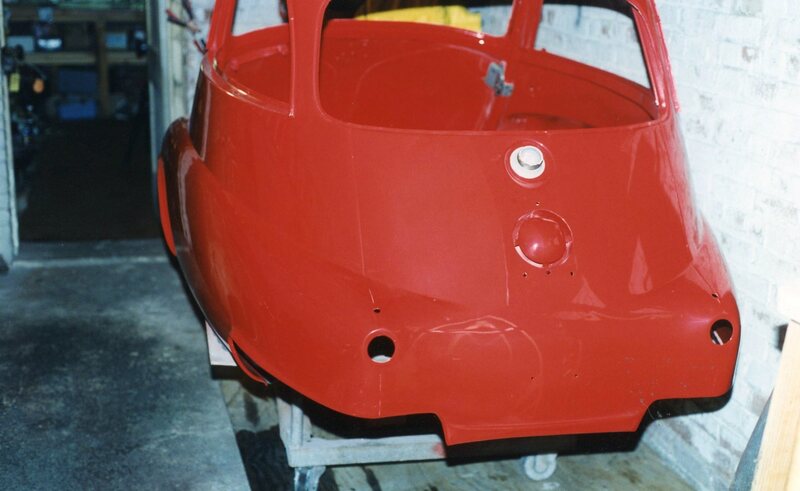 The headlight and tail light buckets were bolted on. 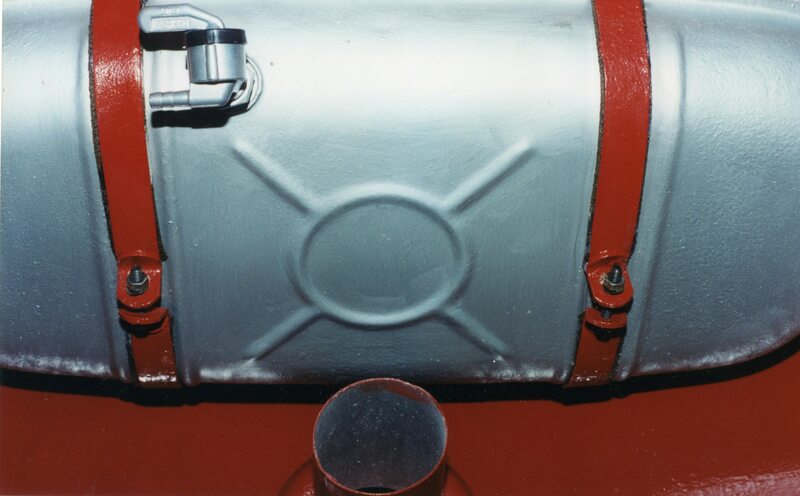 The fuel tank, which had earlier been restored by coating it with Bill Hirsch’s GasTank Sealer, was secured in place. 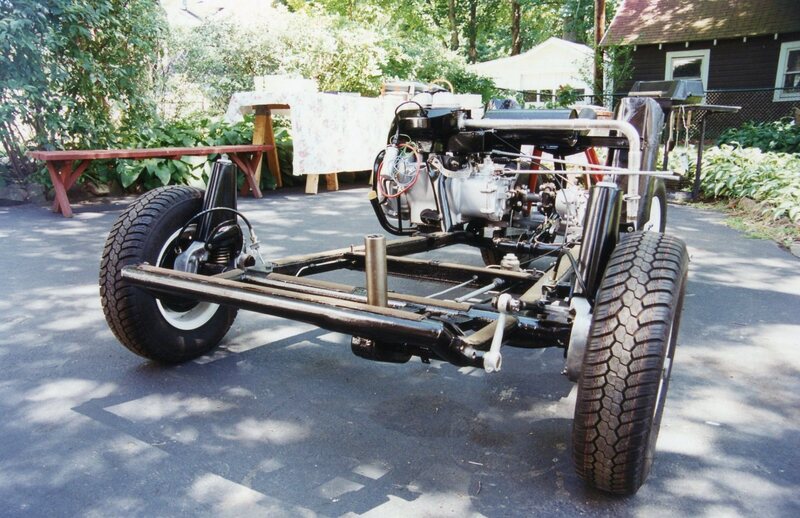 The 2x4s were finally removed, and the body was placed onto 4 jack stands. 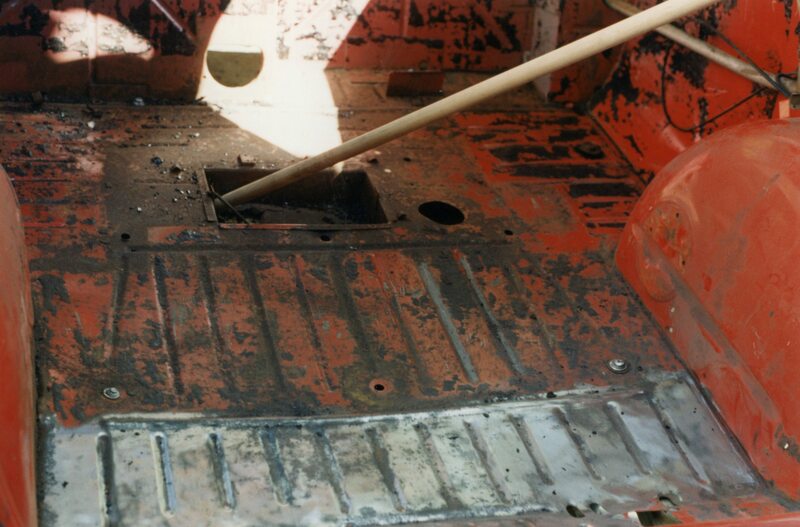 In an auto assembly plant, the moment when the car’s body, on one conveyor, is lowered onto a complete chassis, arriving on another conveyor, is called “the marriage point”. 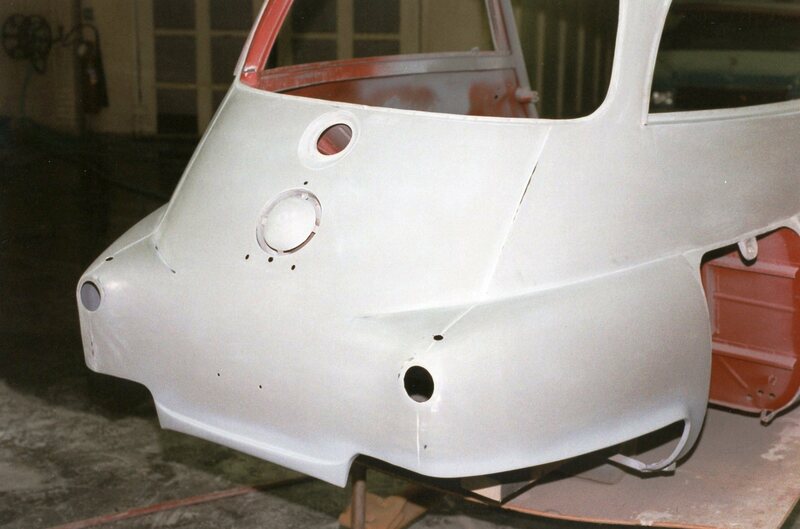 The Isetta’s 17-year courtship was coming to an end. It was time to host a wedding party and consummate this marriage.